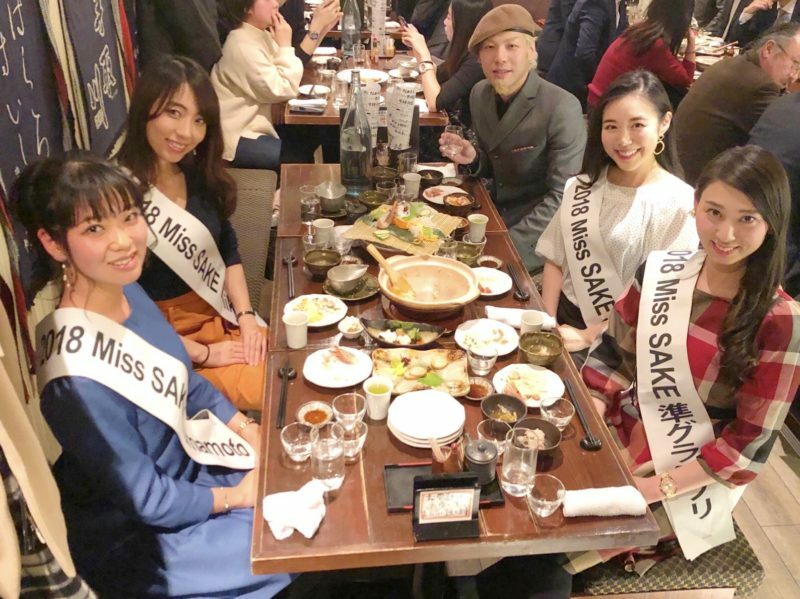 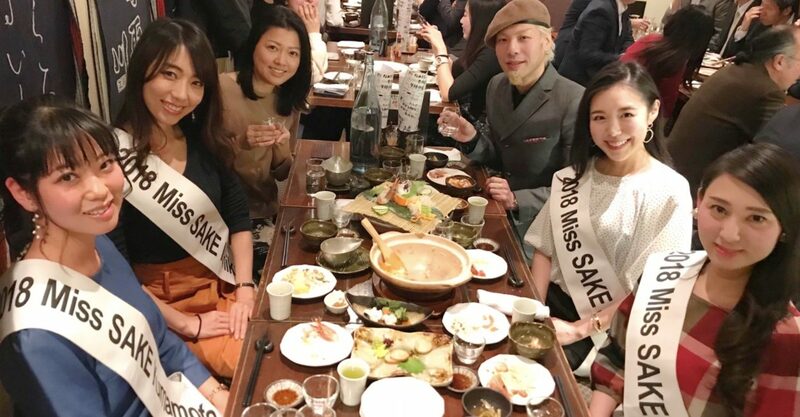 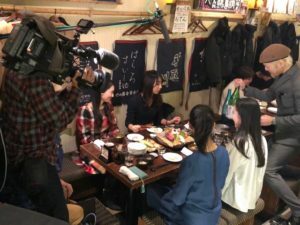 On January 22, I participated in a TV program filming with Miss Masayo Horii, 2018 Miss SAKE runner-up, Miss Mina Owari, 2018 Miss SAKE Ishikawa, and Miss Hikari Harada, 2018 Miss SAKE Kumamoto at Jizake Ichiro Maishin, a SAKE bar in Shibuya. 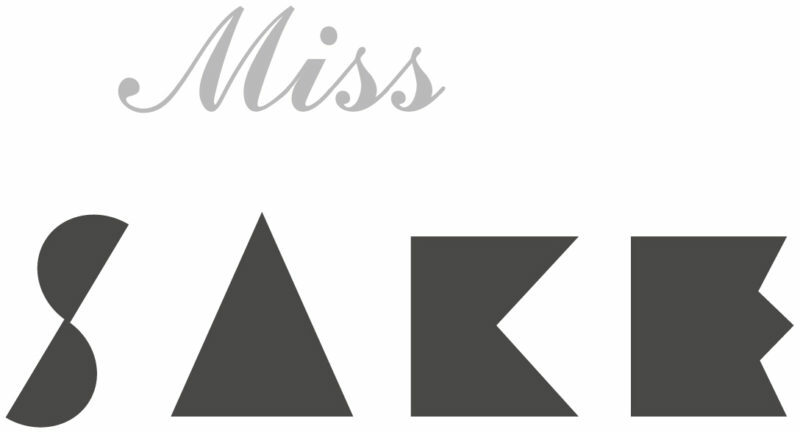 I will inform the details on the program when it’s open to the public. 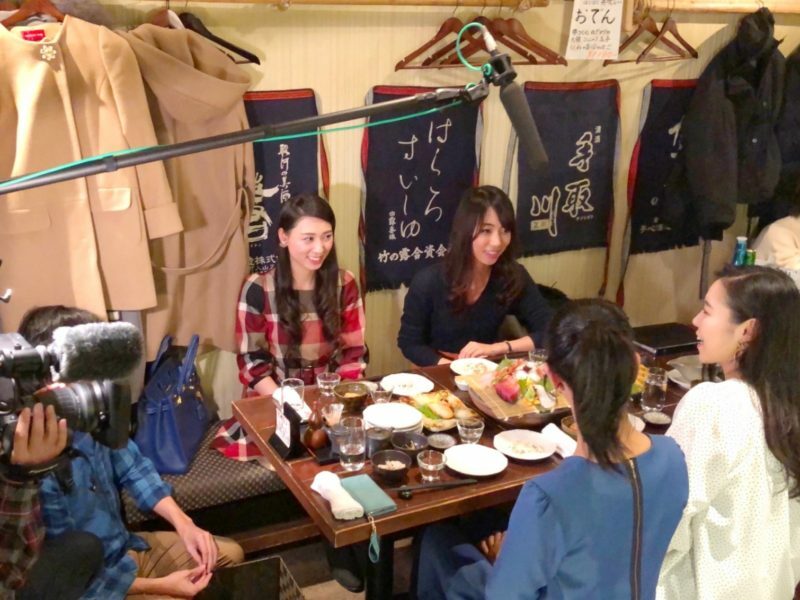 During the program filming, we ourselves could have an enjoyable time with delicious SAKE and delicious food. We were glad that we could join the filming that will be a good opportunity for more young people and women to get interested in SAKE. 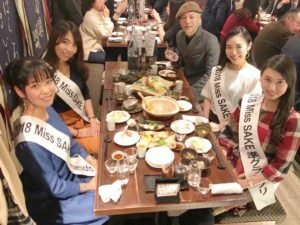 We extend our appreciation to all the people involved.